Rhythmically haunting pop rockers Thee Empty Hours. Thee Empty Hours are an explosive three-piece band that have been consistently pleasing audiences around Southern Ontario for the last 6 years. Combining energy and talent with a dash of humour, the band have set themselves apart from other bands in their delivery of upbeat and danceable modern and vintage rock ‘n’ roll classics. All of the members have experienced success with other musical ventures, but believe that they cannot beat the chemistry that they share together. This chemistry shines through their performances of covers as well as their own killer original material. Blessed with two dynamic and versatile singers, they cover a wide range of styles and provide each other with impeccable harmonies while virtually attacking their guitars with abandon. They are backed by a monster of a drummer who holds the group together by beating his drums into oblivion. Many jaws have hit the floor when he lets loose. The overall effect of the band’s performances is that they continue to get asked back to the same clubs to deliver more of the same. At this juncture, the band is looking to expand their horizons and allow more audiences to be subjected to Thee Empty Hours in all of their finery. Saturday February 28th Port Dover gets treated to some stunning Brantford rock. Head on out and catch them Thee Empty Hours the stage and experience the wonder for yourself. Brantford boys Mammoth Seed are back in town. brought to you by local metal aficionados Mammoth Seed. Saturday, February 28th, have your ears ready to get pounded; pleasantly pounded by the mammoth sounds of Mammoth Seed. Show starts when it starts, and it’s over when it’s over. Classic rock + R&B + funk = Freedom Train. Saturday February 28th check out seasoned rockers Freedom Train at the Liquid Lounge. Freedom Train continues to entertain audiences with their spin on classic rock, R&B, funk and original music. Performing over 200 shows annually, Freedom Train plays clubs, casinos, weddings, private parties and corporate events across Canada. 10pm check out this Hamilton band right here in Brantford. A night of excellent tunes is *almost* guaranteed. Peeler prepared to mellifluously pounce. they also happen hail from bloomin’ Brantford. Peeler was nominated for ‘Best Male Artist’ and WON ‘Rock Song of the Year’ for Half Past High as awarded by the US based International Academy of Independent Artists. Two Peeler tracks have charted to #1 on KIAC in Kansas City, MO (Half Past High & Perfect). Peeler is working on a follow up release – of which Woo Hoo is the first track to see the light of day and has quickly become a crowd fav at solo acoustic and full band live shows. Show is 19+, there is no cover charge. See Chelsea live on Saturday. Chelsea Crites will be playing the Therapy Lounge. For a girl from the small town of Port Colborne, Ontario, she has been amazing fans from the Niagara region and beyond since she was seven years old. Chelsea dreamed of being a country singer since she was a little girl, and now her dreams are coming true. Spokesperson for Oscar’s Roadhouse Lisette Stauch said the following of Chelsea Crites “She’s this amazing country singer and she’s been all over the place, and now we are thrilled to have her at Oscar’s.” It is Chelsea’s growing reputation from amazing performances that enables venue owners speak so highly of her. number of fans following her rise to fame. The Brant Men of Song sing for charity. For over 50 years the Brant Men of Song have been uplifting people with their vocal stylings, and on Saturday, February 28th they’re bringing the show to the St. Pius X Parish Community Church. In many ways the Brant Men of Song have returned to their roots. Outside events have helped to precipitate this. The Associated of Male Choruses of American went bankrupt and has yet to recover. The Associated Male Choruses of Ontario has become less active. At the same time the Brant Men of Song and the Brant Belle’ A’ Dears [now the Brant Country Singers] have refocused on entertaining people in Brant County and surrounding communities. The two choirs have been able to create a flexible program in which audiences are treated to the music of a male chorus, a ladies chorus and a mixed choir. The music continues to be a versatile mix of sacred, folk, show, movie and popular music with a dash of classical. This event will be supporting the Stedman Community Hospice, free will donations will be accepted in lieu of cover charges. Show starts at 7:30pm. are bringing their melodies to your eager ears. Caffrey is an alterative-folk band surging onto the Ontario music scene. Since their conception in 2012 they have been surprising listeners with their skilful instrumentals, heartfelt lyrics and captivating vocals. Caffrey’s musical repertoire ranges from melodic and playful, to deep and contemplative, to edgy with a driving beat. Caffrey comprises of Cassie Racine on lead vocals, shaker and tambourine, and Geoffrey O’Donnell on guitar and backup vocals. 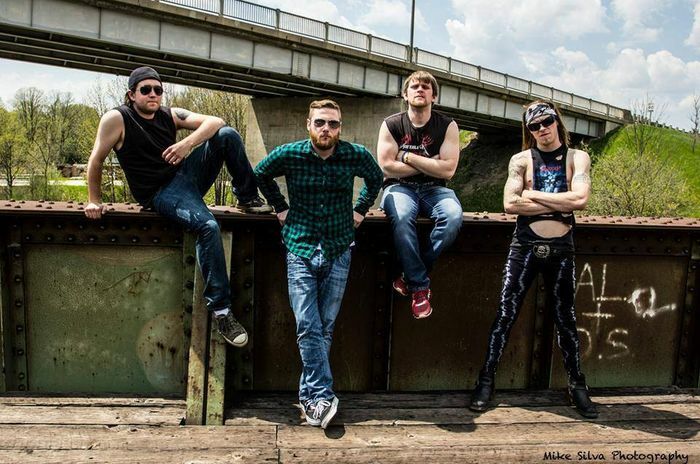 The band was formed in 2012 after O’Donnell was put in contact with Racine by mutual friends. Since then the duo have worked with several talented musicians to add instrumental layers to their music, like percussion and fiddle. The band originates from Brantford, Ont. Performance starts at 2pm, admission and coffee is free. It looks like Caffrey may not be appearing this Saturday after all. A recent facebook post by Brantford Music Centre says the multi-talented singer and guitarist C-Vox will be playing on February 28th. Either way you’re in for a treat, perhaps even several treats. Performance to start at 2pm, with free coffee and admission. Brantford’s own Thee Empty Hours are bringing their unique blend of tranquil harmonies and driving rock force to Riff’s Music Lounge in Woodstock. Friday February 27th Woodstock gets treated to some stunning Brantford rock. Head on out and catch them take the stage at 9pm to experience the wonder for yourself. Come down to Manny’s Place Friday to check out NMEdj spinning EDM, Turntablism, Trap, Drum & Bass, Dubstep and whatever else makes you move. Electric Fridays at The Alex. Fridays are bouncing at the Alex on Friday nights with Dj Stevie P.
DJ Stevie P in the mix with Top 40, Dance, new & old school. Electric Fridays at The Alex is Brantford’s BEST FRIDAY NIGHT PARTY in the city. Show up before 11 and hear your favorite hits for free. Ladies, the Alex’ facebook page ensures you’ll get in for free, even if you’re running a little late. Aloha Friday with the Hot Machine and Dj m2. We kicked off the month with this great band, it’s only fitting that we finish up with them as well! The Hot Machine (aka 40 Sons) are back Friday February 27th at 8:30pm with resident Dj m2 spinning your favorite rock and frosh tunes between sets, and then switching it up club style after 12! Pulling from a variety of musical authorities to create a matchless amalgam of alternative, rock and metal, 40 Sons is forged on being veracious, tenacious and credible. Come down to Brando’s at Market to check out Hamilton natives 40 Sons the Hot Machine kick moderate to extreme levels of arse Friday February 27th at 8:30pm. Tomi Swick and Joel Guenther are playing Eagles Nest Tap and Grill on Friday. Tomi Swick and Joel Guenther will be playing at 9:30pm. After years of playing in a variety of cover bands he had struck out on his own and written a huge cache of emotionally charged rock songs and ballads. His influences run the gamut from James Taylor to Radiohead and Jeff Buckley to the Beatles . The thirteen songs he wrote for his debut, Stalled Out in the Doorway , tell honest tales of some of the harsh realities or relationships. His beautiful and lilting melodies sometimes belying the dark subject matter in many of his songs. Check out Tomi Swick and Joel Guenther on Friday. Friday, February 27th at 9m come down to the Brantford Station Gallery to catch the monthly music series ZZZ#5 featuring The Racoon Wedding, Crosss, Whoop-Szo, Rob Michalchuk and Mammoth Seed. A great night of rock & roll, psychedelic jams, kicking jazz, art displays and more for just $5! Hairy Mulligan set to rock the Liquid Lounge. Prepare for night of classic rock hits, grunge grooves, and alternative rock vibes as Hairy Mulligan are set to play the Liquid Lounge on Friday, February 27th. Brantford’s own: The Elmo Combo. 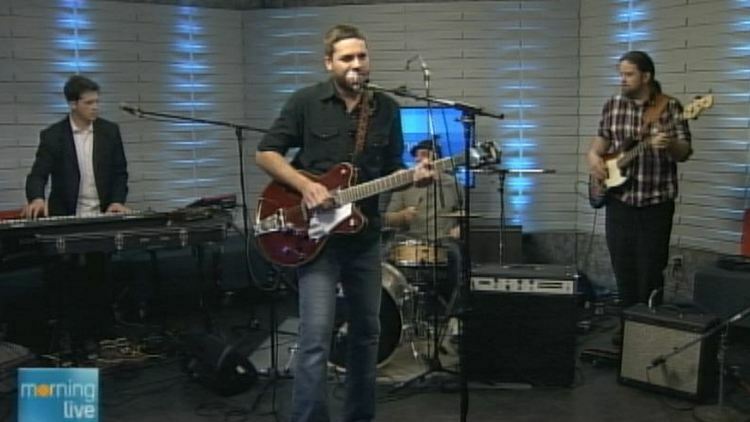 Straight outta Brantford (and the Norfolk area), The Elmo Combo are fresh off of another TV appearance (this time on CHCH morning live) to play for us hometown folks. vocals) with Jon Edwards (keys, vocals) and Gabe Atkinson (bass) The Elmo Combo have become a notable force on the indie music front and are riding the cusp of their break out year. Friday, February 27th at 10pm they’ll take Two Doors Down stage by storm, a whirlwind of Homegrown, Roots Rock, Funky jams, and Reggae grooves. Bent By Elephants released their debut EP in 2009, in their (the band’s at least) birthplace Montreal. This Is Water, the debut LP released 2010, embodies the band’s unique approach to songwriting, traversing a musical landscape from minimalist lines of melody to overlapping cacophonies. The live presence of the band has a fullness and acoustic breadth, created by six (sometimes seven) skilled musicians, in which various influences take aim to create a rhythmic folk, with warm blues inspired harmonies and orchestral layering. Come on down to the Brantford Arts Block to check out Bent By Elephants‘ sure-to-be epic live performance Tuesday the 24th at 8pm. Music lovers of Brantford, prepare to rejoice. Brantford Bands, your source for everything musical happening in and around our Bloomin’ city, is crawling back to bring you news about all the concerts, events and local bands. and Support Brantford Bands by shopping with amazon.ca!